Chicago –(ENEWSPF)—August 25, 2017. Attorney General Lisa Madigan today filed a lawsuit against a Cook County construction company, its president and its chief operating officer that allegedly scammed at least two dozen area residents out of more than $320,000 for home repair work that was either never performed or was substandard. Madigan filed the lawsuit in Cook County Circuit Court against Katlia Construction Inc., its president Vince LaRocca and chief operating officer Mark Paulson alleging violations of the state’s Consumer Fraud and Home Repair Acts by failing to begin or complete work after being paid by customers. Madigan’s lawsuit alleged Katlia Construction required payments from customers promising that home repair work would begin or be completed within specific timeframes. Instead of completing the work, LaRocca and Paulson spent customers’ money for extravagant personal use, including trips to Europe and Las Vegas, limousine rides, and expensive clothing and jewelry. Madigan alleged LaRocca and Paulson explained to customers that the delays in completing work were due to pending approvals of building permits they had never applied for. In addition, the lawsuit alleged LaRocca and Paulson failed to return customers’ down payments and often failed to advise customers of their right to cancel services within a three-day window or other rights outlined in the “Home Repair Consumer Rights” brochure, which they are required by law to provide but did not. 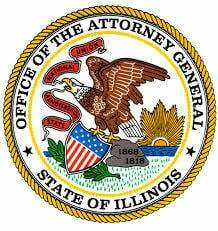 Assistant Attorneys General Janice Parker and Jennifer Crespo are handling the case for Madigan’s Consumer Protection Bureau.